Applied law is the second level degree subject of law, formed in the situation that China's socialist legal system preliminary formed, the alliance of governing by law proceed steadily and traditional legal education was widely criticized. It is the first discipline which specializes in application and rules of law in China. Based on the legal professionals’ needs, the subject is legal profession-oriented and emphasizes on the study of principles, rules, methods and skills applied by lawyer, procurator, judge and legal personnel. Applied law is oriented by three teaching groups, the basic theories on law, entity theories on law and skill study on law, led by Professor Yang Jianxue, associate Professor Cheng Liang and associate Professor Zeng Lingjian respectively. 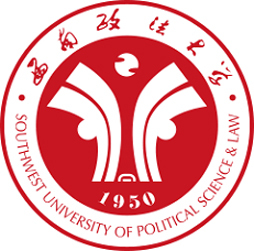 Relying on application of law research base of The Supreme People's Court and west basic - level legal education and training base, applied law has preliminary formed highly qualified faculty with balanced degree structure and coordinate age structure. Since 2010, the discipline has undertaken over 50 national and provincial projects. Funds of crosswise project are about 2 million yuan. The Application of Law Library and Comparative environmental law plexus and 15 monographs are published. It also plans to publish Translations of Applied Law and Review on Applied Law to improve the study and teaching of applied law. The subject will give all the postgraduates scientific research subsidy over 2 thousand yuan and reward the students who have achievements in scientific research one thousand to ten thousand yuan.